What is emergency planning and what are the various tricks to manage it? Build a six month emergency fund. Take stock of your recurring monthly expenses (e.g. rent, utility, groceries, EMIs, children’s tuition, fuel) and set aside at least six months of essential expenses towards any contingency needs. While often a procrastinated and neglected topic, financial planning is now starting to become a necessary exercise for every individual or family especially in a lower interest rate environment with street inflation much higher than the headline inflation. While we encourage both long term and short term goal planning, first and foremost however, one needs to focus on the unexpected. An emergency by definition is a serious and unexpected situation that requires immediate action unlike other goals which can be adjusted over time. Life is never a smooth ride, you never know when you would be thrown a curve-ball in baseball terms or a googly in cricket parlance, which derails your best laid plans - loss of job, health issues, an accident - these are all events that are neither expected nor can be planned for. • Build a six month emergency fund: Take stock of your recurring monthly expenses (e.g. rent, utility, groceries, EMIs, children’s tuition, fuel) and set aside at least six months of essential expenses towards any contingency needs. Since this will add up to a significant amount, it is recommended that you do not keep this money lying idle in your savings account (that gives only 4% interest), but park it in a liquid fund which is highly secure and gives a much higher return of ~7% (as per the prevailing environment). • Buy adequate health insurance: The right amount of health coverage has become a necessity in today’s high cost environment. Healthcare costs have outpaced inflation over the last 10 years and continue to go up further. It is imperative that one plugs this insurance gap at the earliest as it can bleed away your savings rather quickly. 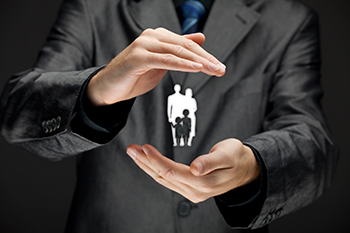 • Buy adequate term-life insurance: Like health insurance, it is prudent to have adequate life insurance coverage as well to safeguard your family. We would recommend a term life insurance plan as a viable option for life insurance as they are most affordable and an appropriate form of life insurance providing full financial coverage for a defined period of time. • Break down your target emergency amount into smaller steps: Saving 6-7 months of expenses for an emergency fund can appear to be challenging at first but realize that it is normal to take some time to build up to your target amount. Depending on your finances, breakdown your savings target into a monthly amount. This will help you focus on what you can achieve realistically and keep you motivated. • Keep a separate account for emergency funds and automate deposits into it: Having a separate emergency account keeps you away from the temptation of spending it as you are less likely to access the account and see the balance regularly. Automating deposits into this account will ensure that you are disciplined about building up the corpus. • Assess your finances to seek opportunities to save more for your emergency funds: Look for opportunities to cut expenses (e.g. eat-out less, take public transport, pay dues on time, review any paid memberships), boost income (e.g. sell unused old items lying around in basements, freelance) and funnel any unexpected bonus (e.g. tax refund, gifts) into your emergency account. • Review your progress regularly: The key to successfully build an emergency plan is to be disciplined about building it and then managing it. This requires regular reviews so that you are aware of where you stand and in case of any delay/setback, you can course correct to get to your target. Conclusion: Financial emergency can come in the form of an accident, job loss or a hospitalisation in the family. In the current context of rising costs, financial planning for emergencies is a must for any prudent investor. A good emergency plan comprises of three elements (an emergency fund and adequate health and life insurance) and even though the target corpus for a good emergency plan may seem daunting at first, it is possible to successfully save for it by following the few simple tricks as outlined. The author, Amar Choudhary is CEO, Finaskus.